Ideal Hosiery - side by side comp. 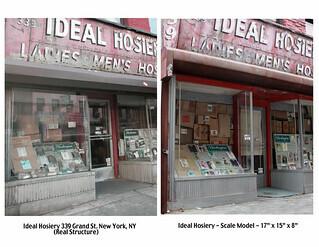 1/12th scale sculpture of Ideal Hosiery, located at 339 Grand St. New York, NY. Lower East Side, Manhattan.